Why does a leader need to have control over his or her emotions? Leadership is about serving others and a greater purpose beyond your own desires or ego. Control over one’s emotions is essential to seeing from a perspective beyond your own and responding to situations with what is best for the whole, not just satisfying your pride or defending your self-image. This doesn’t mean emotions are bad! Both negative and positive emotions can motivate creative solutions, inspire a great cause and push us to continue even when challenges get tough. The point is that we have the freedom to choose how we react to our emotions and situations. 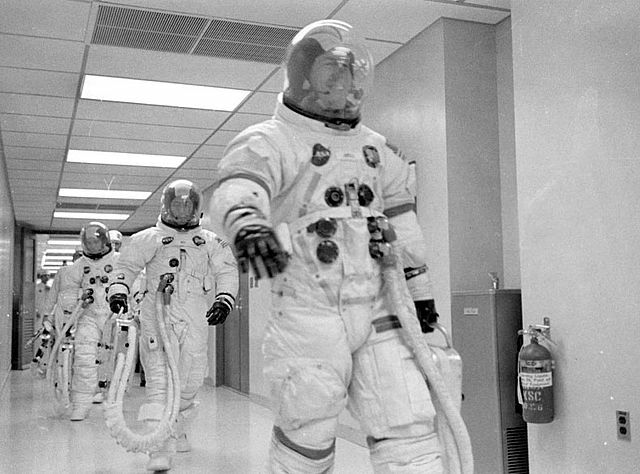 Jim Lovell leading Fred Haise and Jack Swigert to the transfer van. One example of emotional control followed by quick thinking and disciplined action that saved lives instead of leading to disaster is the amazing leadership of astronaut James Lovell on Apollo 13. As the seventh manned mission in the Apollo space program, Apollo 13 was the third intended to land on the Moon… until disaster struck. After their spacecraft oxygen tanks suffered irreversible damage, the crew of Apollo 13 could have let fear and panic take over. Hurdling away from Earth with little thrust and an insufficient heat shield to protect them upon re-entry, a very calm Lovell took control of the situation, working with engineers to solve problem after problem in quick succession to ensure the survival of his crew. That wasn’t to say he wasn’t afraid, but he controlled his emotions and channeled his energy into finding solutions to their predicament. In a matter of only a few hours, the crew and the ground team were able to figure out a way to use the momentum of the moon’s gravitational pull to slingshot around the moon and back to earth. But, it required that the spaceship shut down for a time to save power for the difficult landing. Among the other critical problems the crew faced was removing carbon monoxide from the Lunar Module. The deadly gas would suffocate the crew if it wasn’t removed from the chamber. Some of the crewmembers suggested taking poison pills to avoid the slow death by suffocation. But, Lovell urged his team to find a creative solution. To remove excess carbon dioxide, the crew had to transfer canisters of lithium hydroxide from the dead command module to the lunar module. But the canisters were square and the lunar module’s canisters were round. They literally had to put a square peg in a round hole. Together the crewmembers and ground team created a solution from a piece of plastic that had held Lovell’s underwear, a cardboard cover of a manual, an old sock, and duct tape. 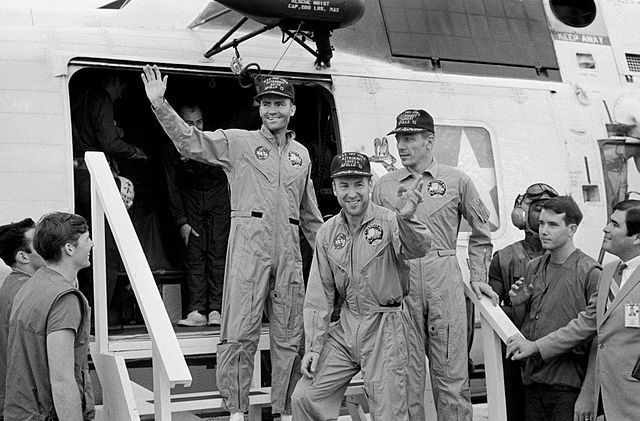 The crewmembers of the Apollo 13 mission exiting out of the rescue helicopter after the splashdown of the spacecraft. 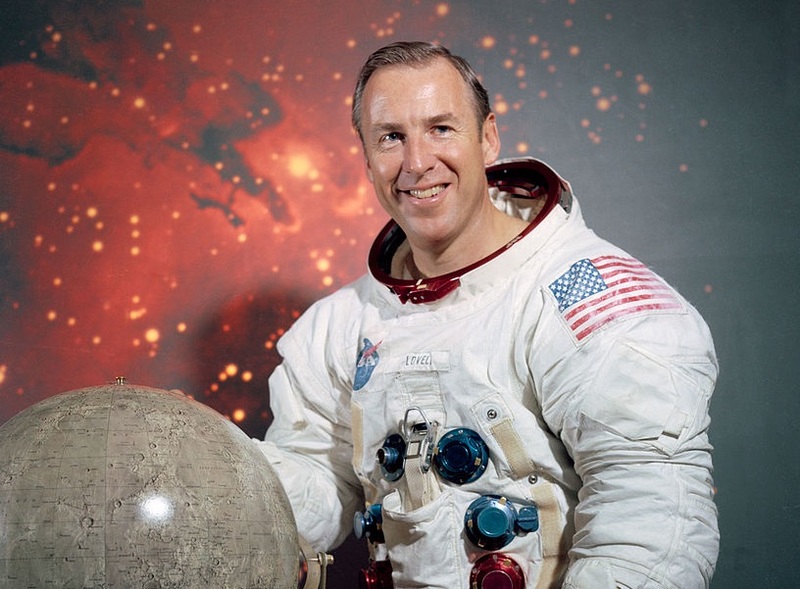 Lovell’s calm demeanor, despite the dire situation, guided the team as it solved problem after problem in quick succession while rocketing through space on the damaged craft hundreds of thousands of miles away from home. His leadership under pressure resulted in the survival of every member on board. We are meant to feel and understand many different emotions, but with maturity, we learn how to own those emotions, understand where they come from and respond, NOT react, to situations. This demonstrates control over our emotions, not suppression. Effective leaders own their emotions, understand where they come from, and respond to the situation with a decision that benefits the greater good. We cannot always control our environment or all the obstacles we face, but we do have 100% control over our attitude and how we respond to challenges.